Soft creamy white pebbled leather belt with toggle closure. 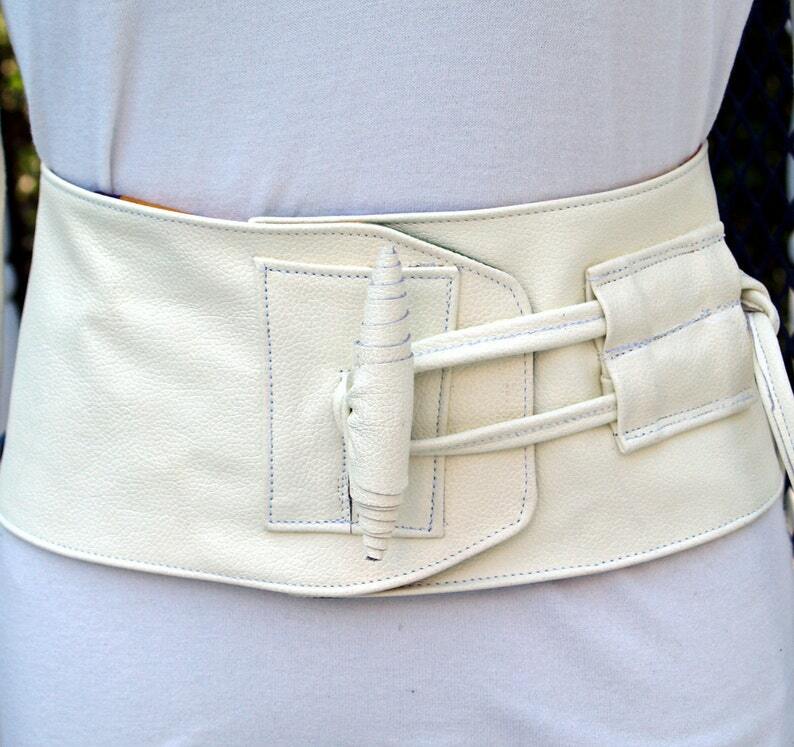 Designed to compliment and contour the waist. Hidden velcro holds belt securely. All handmade and beautifully lined. Measurements: 5-1/2" Height, waist adjust 33" 35". Divinely inspired.